Will I Write a New Book....or Not? After all the responses to my request for feedback on writing a new book, you certainly deserve an answer. I did read every suggestion and and thought about every single suggestion. What did I decide? What does the future hold? I am going to write a new book, but not at the expense of the blog. The third book will be a collection of previous posts, organized into chapters of interest and importance. I will not set a deadline for this project. Work will continue as I have the time and interest. I would guess it will be ready sometime early in 2018. I will publish a Kindle e-reader version first. If the response is strong enough, I will make a paperback version available on demand. My primary focus will remain right here. The comments about the blog's immediacy and ability to build on the community we are establishing seems most exciting and important. Our world is changing quickly and the issues that affect us all really require feedback and discussion. Look for some experimentation on content. I may begin to integrate video clips more often. If I can figure out how to produce and link a podcast about retirement to the blog, I will do that too. I may hire a professional web designer to help me customize parts of the blog that Google doesn't. I may even take the leap and switch to Wordpress from Blogger, as long as all the links and rankings for keyword searches don't disappear. Realizing that anything and everything is hackable, I am backing up the full blog every 7 days so it can be restored quickly without much loss. The comments on I Need Your Feedback included so many excellent suggestions for post topics that I should have a steady stream of new material for the quite awhile . There were some really intriguing ideas, some of which will require you to help me with your personal stories and reactions, all of which helps us build our community of shared experiences. So, that's the answer: a book will be forthcoming but the blog will get most of my attention. Betty assures me I can do two things at once. I trust her. Note: I received a new book for review. While I'm not done reading it yet, I will say I am finding Prescription for a Happy Retirement right up my alley. In fact, he and I agree on so many point I almost thought there is no need for another one from me! The author, James Bash, has nailed it on every important point so far. I will have a review in a week or so, but invite you to check it out on Amazon. Congrats, Jim, on an excellent addition to my retirement book library. 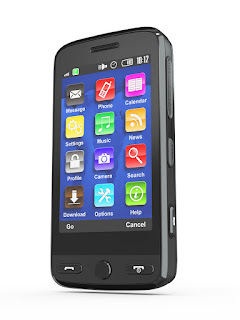 What Apps on Your Smartphone Are Your Favorites? 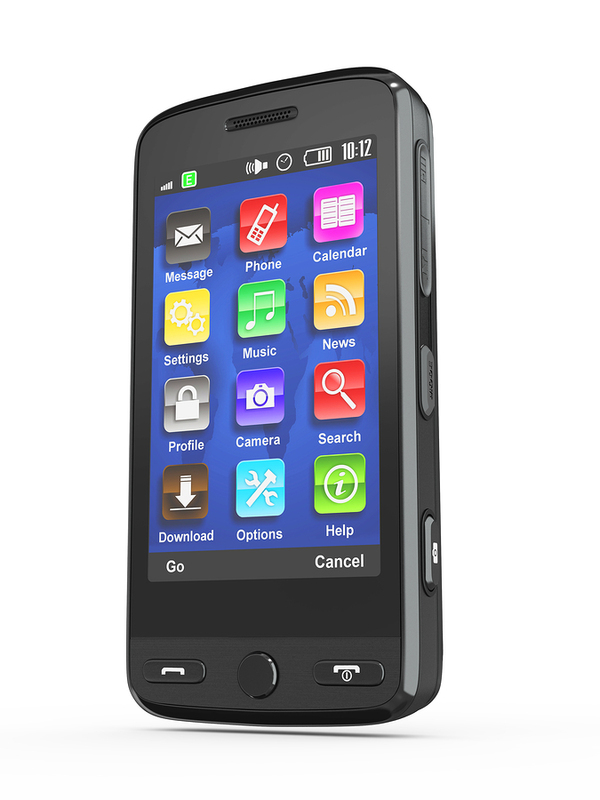 There are over 2.8 million apps for Android phones, 2.2 million for Apple smartphones. Those are incredible numbers. While it may seem that you have a large percentage of those on your phone, our actual use is surprisingly small. The typical person uses nine applications per day, from a core of 30 apps that are clicked at least once a month. Many more may live on your phone, but they are unused. I thought it might be interesting to share which smartphone apps we use most often. Which ones are essential to you everyday? Which ones are part of your regular routine, though not as often? Which one have you tried and deleted because they just didn't fit your lifestyle or they bombard you with too many ads and constant updates? What are the silliest or most unnecessary apps you have seen? How about my phone? There are 40 apps on my Android Galaxy. I am on par with the national average: seven or eight of them I use every day and another 10-15 get monthly use. There are several that came with the phone that have been either deleted or disabled when Android insists I keep it. What are my major application irritants? A) Those that update too frequently. The "new" version is worse than the old one. B) Apps that load too slowly because of too many video or advertising popups. C) Those that require registration and/or email address to continue. D) Those that don't deliver what they promise. The New Galaxy 8 will be released shortly, at a price close to $800. Apple's newest version is now out, too, at a similarly silly price. At least for me, that is crazy. At those prices, my Galaxy 6 is going to be my best buddy for a long time to come. The apps I choose to use have to work for my lifestyle. How about you? What apps can't you do without and which ones have you discovered that disappoint or frustrate you? Help us out! 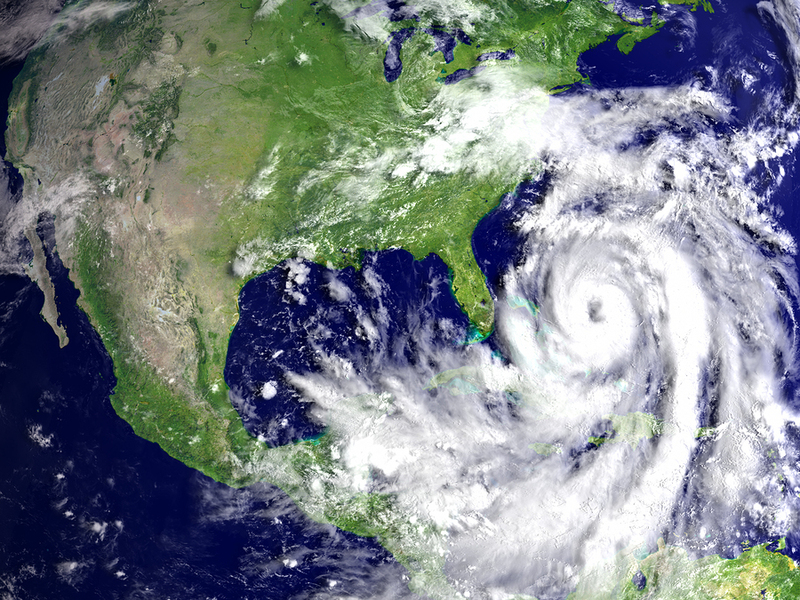 Hurricanes and Retirement : What Do They Share? The devastation of Hurricanes Harvey and Irma is very fresh in our minds. The rebuilding of lives and property will continue well into the future; some people and places will never be the same. I feel for these losses and the massive toll on the countries hit and the people fighting to come back. At the same time, floods in Italy, Malaysia, India, just to name a few other locations, have wreaked absolute havoc. Preparation before disaster strikes is essential in a world where nature seems to be running wild. A "what will be will be" attitude may work when it is time to choose a restaurant for dinner, but not when confronting Mother Nature in all her power. Since my mind is a little odd, it occurred to me that preparing for an event like a hurricane or typhoon is somewhat akin to we should do before retirement strikes. Of course, a storm usually passes in a few hours though rebuilding may take weeks or months, even years, to repair. There may be injuries, even deaths. Certainly, I don't mean to minimize the seriousness of a major storm. I have lived through a few hurricanes and they are terrifying. But, if you will allow me to extend the metaphor, when retirement hits us we have another 20 or 30 years to adjust to. So, being fully prepared makes tremendous sense. *Loss of power. In a major storm, we are likely to lose electricity for awhile. Cell phone service, Internet access, all are at risk. During retirement we are threatened with a different type of power loss: loss of energy, drive, and goals that we strive for. No power for a few hours or even days can be quite uncomfortable. No energy or drive during retirement can has longer lasting effects. *Loss of belongings and stability. Pictures from the hurricanes' aftermaths show the heartbreaking devastation of houses, businesses, property, even the landscapes. Harvey left tens of thousands of cars underwater. Irma flattened some Caribbean islands beyond recognition and forever altered parts of Florida. Puerto Rico may be without dependable utilities well into next year. Retirement is not that dramatic, but there is a type of loss, a loss of belonging to a group of coworkers or an organization. The stability of a regular paycheck is replaced with the hope your financial walls are strong enough to withstand the wind. *Forced change in routine. Think of the pictures of the thousands of people housed in shelters. Think of all the lives that will be on hold for weeks or months. Everyday routines will be upended for the foreseeable future. Retirement suddenly puts you in charge of 24 hours a day. Almost like a storm survivor, a newly retired person is really starting over in how his day is managed. You must develop new routines and a daily schedule. *Storm warnings ignored. I guess it is part of human nature, but I always wonder what possesses someone to ride out a hurricane believing it won't be that bad. If you can evacuate but choose not to that is risking your life as well as those who must rescue you. In retirement, a storm warning can come in various forms: a report from your doctor of health problems, a statement from your financial institution that your withdrawal rate is dangerously high, an argument with a spouse or partner that is more severe than normal. 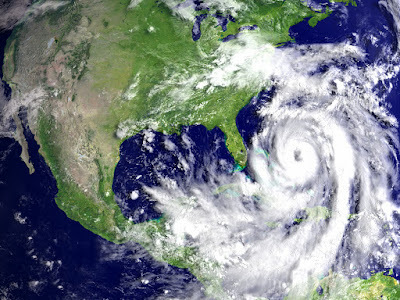 Like a serious hurricane warning, you are putting a lot at risk if you ignore the warnings you receive during retirement. Hurricanes can change someone's life completely, and rarely in a good way. You have very little control. Retirement will change your life. Whether it is a positive or negative experience is much more in your control. Make the most of it. Today, I am assigning you a task. It will not be particularly easy because it requires you to look at some of your preconceptions and decide if each is still valid. To keep things moving I am asking you to complete this challenge in the next two weeks, give or take. In 14 days, give or take, I will ask you to report on your progress. And, yes, I will participate fully. To begin, let's think about what types of preconceptions might qualify for examination. This is a biggie. I would guess all of us have certain images in our mind of what getting older means. Physical decline, financial struggles, moving out of our home, or the loss of a partner can certainly part of that preconception. Hopefully, the last 7 years of this blog have added notions like freedom to change and grow or learning to say, "No," and controlling our commitments. Realizing that plans change, life unfolds in ways we never expected, or that the decades we may spent in retirement are ours to shape. Maybe we firmly believe our physical and mental decline can be slowed and altered to a degree. 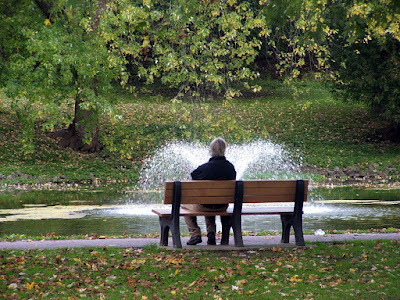 Does your conception of what it means to age well need adjusting? What are your preconceptions about death? As we get closer to the finish line than the beginning of our journey do we need to adjust how we think about this final step? The last election and its aftermath have brought this set of preconceptions into sharper focus. For Americans, Charlottesville may come to mind first. But, it is certainly not the only case of serious problems when people of different beliefs, politics, races, and religions come into contact, and conflict. London, Barcelona, Paris, Mumbai, Madrid, Quebec City....these place and many others have suffered as well. As humans we tend to want to cluster with people like us. Problems arise when we treat "the others" as inferior, wrong, or dangerous simply because they are not us. Of course, since there are over 7 billion people in the world, only a very small percentage of the total are just like us. Obviously, there are those who are dangerous, harmful, hateful, and out to do you and me harm. But, there are unnecessary problems when we begin to assume that everyone who is a member of a group that is not like us falls into that same dangerous category. This is not an easy set of preconceptions to think about. It is even tougher to change them. Do you have any goals in this area? During my business career, success was easy to define: more business, more money, bigger house, more industry accolades. After retirement, every single thing that I thought of as being successful was not. Isn't that amazing: retirement forced a total reversal of a notion I had held since my teens. Now that you are retired, what is success to you? How you define it will impact much of what you do and own. I will guess that success means something very different now than it did earlier in your life. Some of us have convoluted, messy relationships with family members. It may be that brother or sister who you stopped talking to twenty years ago, for reasons you can't quite remember. It may be a grown child who seems to turned his back on everything you tried to teach him. Or, It may be a strong, interconnected family makeup: you spend time together, really enjoying each others' company. You may not communicate often with your siblings but you know each will be available for the other in times of family crisis. Now that you think about it, reaching out to them is past due. Now is the time to question all those relationships. Are preconceived notions of a sister or aunt keeping you from adding them back into to your life? Did some family member hurt you years ago, and that slight has kept you apart far too long? Maybe you continue to interact with someone in your family who is toxic for you: you dread your visits together. That person makes you feel bad about yourself, yet you feel a sense of obligation to keep up those familial ties. If certain relationships are strong and nurturing are you doing the work needed to keep them that way? Do you assume things will always go well so extra efforts aren't needed? While I was working, I liked the ego satisfaction of seeing my name and picture in one of my industry trade publications. I loved being quoted or interviewed. I felt good when someone approached me about retaining my services. I figured I would be remembered as an influential person in my career field. Well, no big surprise, within a year or so I was forgotten. The industry had moved on and others had become the hot new topics. Old clients remembered my name and occasionally made contact, but even that stopped within 2 years of retirement. Thirty five years of work had vanished. Now, that "success" is the farthest thing from my mind. I don't want to be remembered for my radio shows or the music formats I developed. I have no interest in being remembered for any of those things. That chapter of my life is over and the book has been closed. What I had perceived as the essential Bob Lowry turned out to be temporary and fleeting. So, what are my measure of success? Is the word, success, even a good fit for what I want to accomplish? What about you? Give yourself some time to think about these preconceptions. Feel free to comment on where you are at the moment. Make a public declaration of your preconceptions as of today in one or more of these areas. Then, look for a follow up post in a few weeks so we can discuss our changes, if any! This could be an interesting experiment. Are We Building a Community Together? Over the past year or so something has begun to happen on Satisfying Retirement: people are leaving comments not only for me, but for others. A comment on a post triggers a reaction from another reader who wants to share his or her thoughts with the original commenter. Suddenly, a conversation begins. A shared community begins to develop. I couldn't be more pleased. This development is something not all blogs encounter. It only happens when readers sense a shared set of experiences with others. It only happens when there is a trust that comments will be treated with respect. And, it only happens when readers have been visiting the blog on a regular basis over many months, or even years. This short post is really just a way of saying thank you. Thank you for caring enough to interact with not only me, but others. Thank you for being constructive, supportive, and educational. 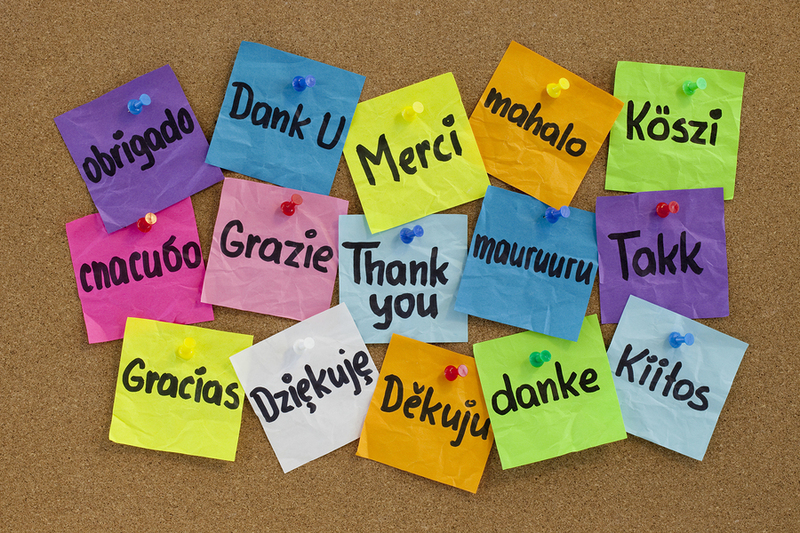 Thank you for helping to encourage a sense of community, of conversations that add something to all of our lives. 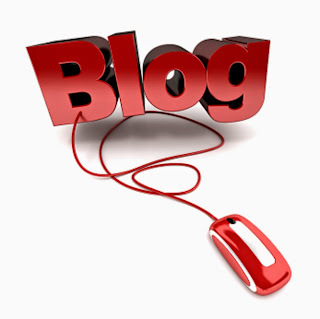 A blog has the potential for being a modern day equivalent of a conversation over a back fence, or on a shared bench in the town square, neighborhood park, or over a cup of coffee. It has the opportunity to become a collection of not only readers, but also friends who genuinely care about each other. The majority of readers will never comment; the national average is about 95%. But, even for all those folks, when someone else expands on an exchange and a conversation built around a particular post, everyone benefits. Everyone feels more comfortable spending time here. So, I want you to know I notice the back-and-forth in the comment sections. I encourage that growth in our journey together. I deeply appreciate the trust you exhibit in your fellow readers by doing so. A community of us, building a satisfying retirement journey together, is fabulous to watch develop. If you have friends who you think might like what is happening on these pages, I do ask one favor: invite them to try this blog for a few weeks. See what is happening here, add their own thoughts if they feel comfortable in doing so. Expanding our community would add to our shared experiences. Should You Continue To Invest After Retirement? I am not sure I have ever written about this subject before. 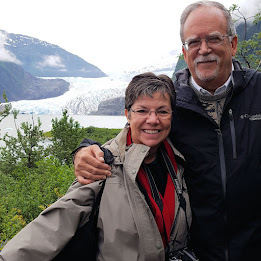 Satisfying Retirement is not a financial blog, but our monetary resources are an important part of how well we live, so it is not a subject I ignore. If you search the archives there are plenty of blog posts about preparing yourself for retirement, managing your money, budgeting, and all the basic steps that help keep us financially afloat. But, what about after retirement...are we done investing new money? Do we take what we have and figure that is what has to last for the rest of our lives? I can only speak for me, but, yes, that has been my assumption. After all, I don't work anymore. I have no "extra" income do I? What would I use to invest? 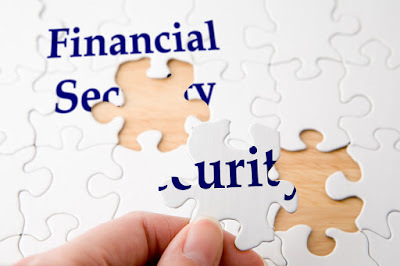 1) In an earlier post I mentioned that my wife will begin receiving spousal benefits from Social Security early in 2019. Our first thought was to just toss that extra income in our travel and vacation fund, and that still might happen. But, we could put it into one of our investment accounts and let it grow. If we don't need it down the road, the kids' inheritance would be a bit larger. 2) While not everyone's case, I have yet to start taking money from my IRA. In less than two years that will change. I will have to start withdrawing money. The Required Minimum Distribution is the government's way to insure it begins to get some taxes from the money that has been safely tucked away and growing the last 30+ years. Like the spousal benefits, I have been living without IRA money for the past few years, I don't see that changing anytime soon. So, that forced withdrawal can be invested. I will have to check on the tax ramifications; it would be counterproductive for that money to be taxed twice. But, it is possible. 3) The inheritance I received from my parents generates money. Because we live a modest lifestyle most of the time that inheritance generates more money than we spend each year. Our financial advisor automatically reinvests whatever there is. If I don't see the extra, I am not tempted to spend it. 4) At the end of some years there is leftover cash. Expenses were lower than we had budgeted for. This post that has forced me to consider alternatives. We have just rolled that money over into the next year allowing for more money in certain budget categories for the new year. But, we could take the unspent funds and plug it back into investment accounts. I guess all this begs the question: why would I want to keep investing? For me, there are two answers: I am naturally conservative and I don't know what the future holds. Honestly, I don't know which, if any, of these ideas I will follow. But, just knowing that investing after retirement is not such a far-fetched idea has been helpful. ....from my grandfather when I was 12 years old, my life would have been totally different. It is likely I would have not developed an intense interest in radio that led to a 40 year career. Without that decision I would have not been in a particular town to meet a particular woman who would become my wife. The backstory is simple: at the age of twelve I had been selected to become a counselor in training at a YMCA camp an hour or so from my home. I was too young to have much authority, so my job was to help the 16 year old counselors manage the young boys in our dormitory, make sure they got enough sleep, made it to breakfast, and spent their two weeks having fun. Apparently, I was a rather "young" twelve. I didn't know how to motivate the younger kids. I allowed cliques to develop that targeted certain boys for bullying. Within four or five days I was homesick and wanted to leave. My parents suggested I give the experience another few days to see if things evened out. They did not. So, at the end of the first week, mom and dad drove to the camp, picked me up, and took me home. They were obviously disappointed but didn't make me feel bad about my "failure" to stick it out. When my grandfather was informed, he wrote me a long letter (back in the days when letters were the way to communicate!). After several supportive comments he began a section that he felt his grandson needed to hear: that I had given up too soon, I needed to give things time to develop, and I had to keep commitments. He let me know he loved me and hoped I had learned some valuable lessons from the experience. He suggested I return the next summer and stick it out. So, how did this change my life? Since I was home for the summer instead of away at camp, I discovered a passion that would be the center of my life for the rest of my working years. I visited a local radio station and fell in love. Within 3 years I would be a 15 year old disc jockey with my own show after school and on weekends. That would lead to other radio stations and other cities. In one I fell head over heels in love with a woman who would become my wife and the mother of my children. Eventually, I would decide to come off the air and become a consultant and market researcher, helping almost 200 other radio stations maximize their potentials. That allowed me to save and invest enough to retire at 52 and begin my satisfying retirement. My grandfather wasn't wrong. His advice was correct and something I needed to be told. He let me know I had some growing up to do. But, as things worked out, if I had gone back to the camp the following year, it is likely the circumstances that put me inside a radio station and became my career would not have been the same. The point of this story? Sometimes an event that shapes our lives is triggered by a disappointing outcome or failure of some kind. We can let that define us and limit what we are willing to try. Or, we can chalk it up to a learning experience and move in another direction or attack the problem with a new perspective. Advice should come with a warning label. It could be exactly what you need to hear, or might be "hazardous to your health." That is a decision you will have to make. 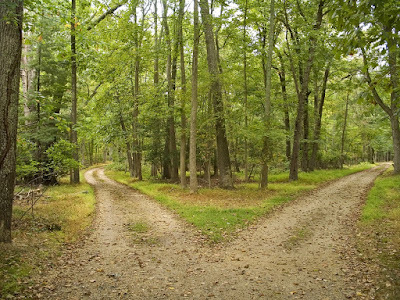 I am quite comfortable that I ended up on the right path. The concept of working after retirement is not new. Over the years many folks have found their resources insufficient to maintain an acceptable satisfying retirement lifestyle. Others have planned well, but a catastrophic medical situation has devastated their retirement accounts. Some have found themselves paying for the care of aging parents. More than half of all retirees have debts when they stop working. Whatever the reason, having a new source of income after retiring from a career or life-long job has become a part of life for many. Retirement does not mean the end of producing income through some form of work. But, what is happening is a noticeable shift in the percentage of those over 65 working at least part time. The most recent figures show that almost 20% work full or part-time. That is the highest level since the recession of 2008-2009. Consider that the average life expectancy was 63 years when Social Security was first created. Today, it is approaching 80. Living well into one's 90's or even 100+ is not all that unusual. The number of years a recent retiree must support him or herself has increased over the last several decades. So, to retire and then begin to rework is becoming more common and necessary for many. What is also slowly changing is the attitude among many employers. While some younger workers may have problems working with older folks, employers are beginning to understand the benefits of hiring older workers. The years of experience, the dependability and generally positive attitudes of working seniors, and often, the lack of expensive benefits makes hiring retirees who want to re-enter the workforce a smart decision. 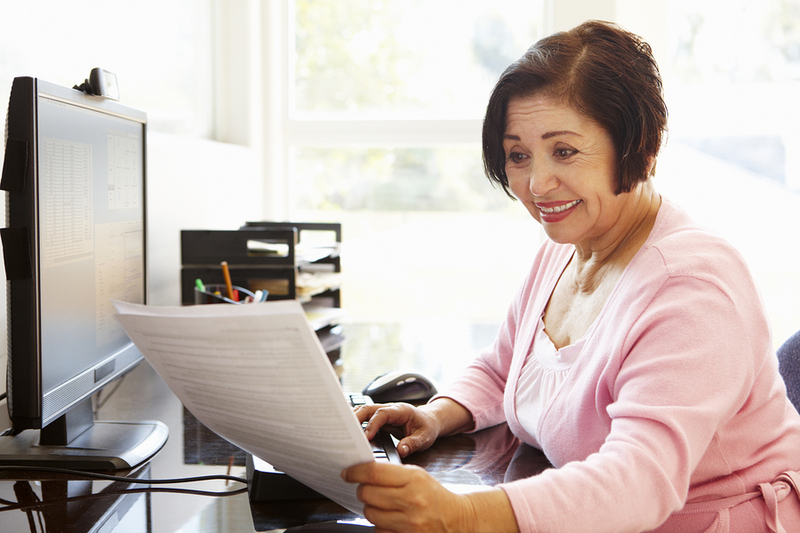 Assuming for now that you may be one of those who wants to work even though you are "retired," there are several options for you to consider. Your decision will be based on your skills and previous employment, whether or not benefits are important, and how flexible you are. 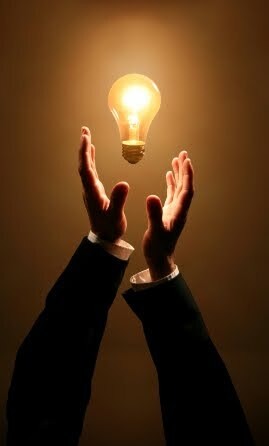 If you have discovered a way that suits you, I encourage you to share your ideas and suggestions in the comment section. 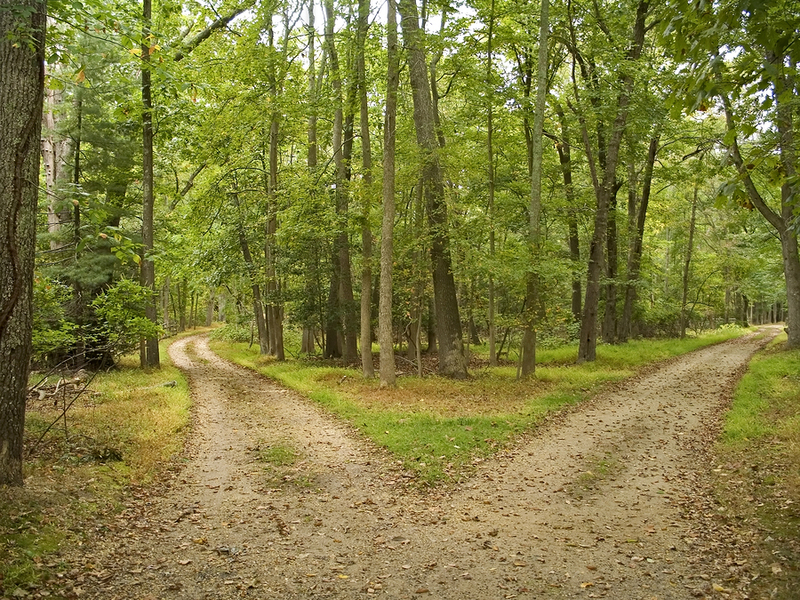 The most common choice is some form of part time employment. We are all familiar with the stereotype of the senior acting as a greeter at Wal-Mart. There is absolutely nothing wrong with that choice. If you love people this may be a perfect fit. But, it is certainly not the only option. I've seen men and women in their 60's working at a gym as a personal trainer or leading exercise classes for older folks. If you are in good shape and have some background in this field, why not? For the several months leading up to April 15th, most tax preparation companies hire extra help to manage the crush of people needing help. The same situation occurs during the Christmas holiday season at many retail stores. Because your availability is probably flexible, this could be a great way to add several hundred, if not thousands of dollars to your bank balance. Amazon hires tens of thousands of seasonal workers to help fulfill online orders at their centers located all over the country. What about being a tour guide? I did that for several years. It was fun, put me in contact with lots of people, wasn't strenuous, and paid well. Are you an early riser? Newspapers are still looking for dependable folks with cars to deliver their product first thing every morning. 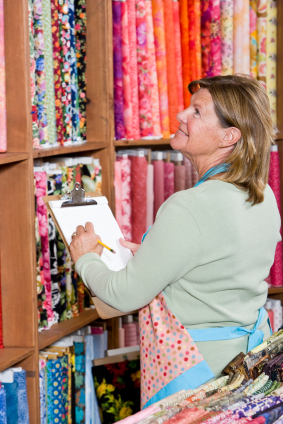 How about working at a retail establishment or big box store like Home Depot or Costco? Betty and I have used the Uber ride service a few times over the last several months. At least half our drivers have been over 55. One of our friends is a traveling nurse. She works for 2 to 4 months in a location, hooks up her RV, and she and her husband are off to another clinic or hospital wanting part time help. As a part time employee you are probably not going to receive any benefits. But, you do have more control over how much free time you maintain and how many hours you want to work. Starting your own business, either as a full time or part time venture, is a serious option for many. Maybe you spent your career chomping at the bit to do something different or better than your former employer. Can you become a consultant and help those in your former industry to succeed? What about that idea for a line of colorful and unique bird houses? You love woodworking...go for it! Quilt-making, dog walking, tax and accounting services, computer setup and classes...the list is endless. Have you considered buying a business that is already operating? Don't forget franchising. Maybe you have always wanted to own and operate your own ice cream store, carpet cleaning business, pre-school, or fast food restaurant. While not cheap, using the expertise and proven systems of a franchise can get you up and running much more quickly than attempting the entire process on your own. The concept of cycling in and out of the work force seems to be gaining favor. Work to earn enough extra money for a dream vacation and then stop working. After the vacation or time off, rejoin the work force for awhile, then go off on another adventure. An unexpected batch of medical bills lends itself to this approach, too. Obviously, part time employment is really your only viable option if this is your plan. Being a consultant, tax preparer, or any type of seasonal work would lend itself well to this approach. Cycling works best in an economic situation where jobs are plentiful and your skills lend themselves to this type of drop-in/drop-out work. Like any part time work, benefits will probably be non-existent, but more control over your schedule is likely. If you think working again might be right for you but aren't sure what to do, the web site Fifty Best After Retirement Business ideas has some excellent suggestions. One caution: remember that before your full retirement age (probably 66) there is a limit to how much you can earn before Social Security benefits are reduced. After that age, you are free to earn as much as you can with no reduction. You can also contribute to a traditional IRA until age 70 1/2 or a Roth IRA at any age. If you don't need all the extra money earned while working, this is a good way to pad your retirement accounts. 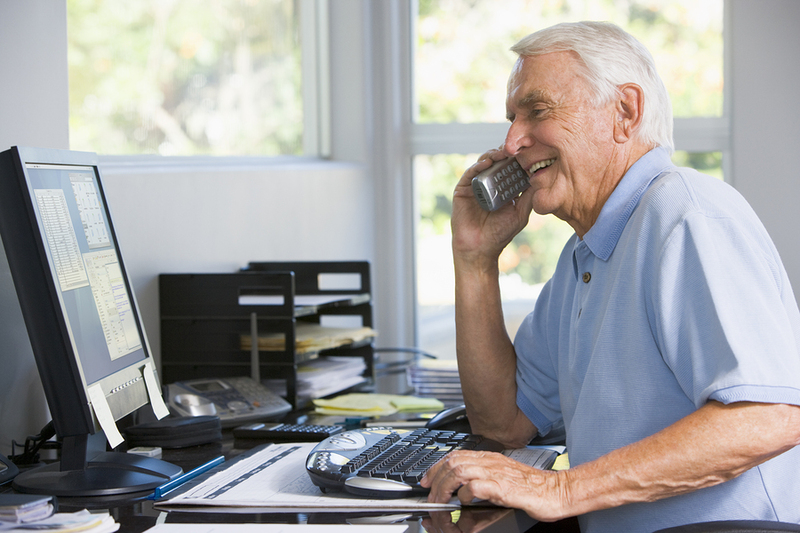 Personally, I am pleased to see working after retirement is a very viable possibility for many. The desire to remain productive, be part of a group of people working together, and providing extra financial support help make this stage of life more satisfying. It can open up opportunities for travel and personal growth or support for other family members. Not all of us want to return to a lifestyle we happily left, but having that option is good. I have started writing a new book about retirement. This would be my third. Sales of the first two continue but the latest one is over four years old so now is the time. At this point I have finished a rough draft of two of the nine chapters I envision. But, the last few days have given me pause, and I'd like your feedback. There are a lot of books about retirement. I receive information about a new one on this subject at least once a week. Some are good, some not so much. But, the bottom line is there are thousands of books about retirement covering every aspect of this important subject. I am asking myself now, before I put several months into this project, whether the world needs another book about having a satisfying retirement. Is there any part of retirement finances, relationships, passion-building, travel, time management, and volunteering that need covering again in a book format? Blog posts about retirement are different. 700 words can be read in a few minutes. The ability to comment or read what others have to say makes each post a potential learning experience. There is a feeling of community on these pages. So, here comes the request for your feedback: should I write a new book about retirement? Is there something you think I could bring to the subject that is missing from many of the others in this category? Would another Satisfying Retirement book help people? If the answer is, Yes, then I will continue. There is a central focus for the book I have in mind. I have gained enough experience over the last several years to still have plenty to say. But, if you believe my efforts may be best spent elsewhere, I would deeply appreciate your saying so. Is there a another subject you think might be productive for me to explore? Should I save my writing for these blog posts and spend my creative time finding new things to explore on these pages? Maybe it is time I explore videos on YouTube or podcasts. At this point I am open to all ideas. Obviously, I am comfortable writing about retirement and can produce a quality product. But, maybe I am stuck in one area. Maybe the time is now to write about something else. Please rest assured, I am not talking about changing this blog. This is my home and where my on-line family and friends are. I just would like some feedback before I write 250 pages on a subject that maybe has been adequately covered! To write and produce a book that may not attract many readers is probably not the best use of my time. I am quite anxious to read your thoughts. Thanks for anything you care to share. Even though only a small percentage of folks decide to move shortly after retirement, it remains a topic of real interest to many blog readers. Part of the image we carry into retirement is a move to a beach side cottage or mountain chalet. We leave behind cold weather or the desert heat and live out our years of freedom in a place that keeps appearing in our dreams. One of my most emphatic cautions to someone who has recently retired is to not move right away. There are so many adjustments retirement requires that to add the stress of a relocation is dangerous to one's health and happiness. Certainly, after careful consideration and time, moving to a place that would make someone happy is encouraged. Even then, there are five key questions that need to be asked. If living with someone, his or her responses are just as important. To move when only half of a couple agrees can lead to an unhappy environment. 1) How much will you miss the familiarity of where you live now? If you live someplace long enough I'm sure you'd had this feeling: the car could drive itself by now. Where you do your grocery shopping, where the movie theater and home improvement stores are, which are the best nearby parks, how close are the doctors' offices you visit, your church, your favorite restaurants, even how the streets are named and laid out....all these patterns of daily life give us comfort. Patterns and familiarity are two character traits all humans share. When you move, all that changes. Some people find that newness exciting; it stimulates them. Others become frustrated and critical: the stores were better at home, I can't remember where the streets go, our only choice to eat out is at chain restaurants, and so on. Don't discount the role of familiarity in your satisfaction. Consider how important it is to your happiness before giving it up. 2) Will moving make seeing family easier or harder? Not surprisingly, one of the key reasons retirees eventually move is because of family. Often, the motivation is to be closer to grown children, grandkids, or other relatives. Occasionally, it is the opposite: to establish some breathing space and escape from too much closeness. Either motivations needs discussion. Ask yourself if you are moving to something, or away from something. Moving closer to family means more time with each other. Shared birthdays, holidays, and special occasions are easier to schedule. Maybe you'd like to help with babysitting or transportation needs. Very possibility, you sense that the grandkids don't really know you very well or see you often enough to form a real bond. The flipside are folks who have experienced all of that closeness, and now want to cut back on the sense of obligation and regular contact. Even loving families need time apart, If you feel your closeness is being taken advantage of, then moving far enough away to make a return visit a special occasion may be exactly what is best. 3) Will you enjoy the new climate full time? The idea of living by the ocean, dressed in a T-shirt, bathing suit, and flipflops every day of your life sounds perfect to many. Being a stone's through from a ski resort with all those beautifully groomed trails makes your heart race. Making your home in a location with all four seasons sounds heavenly after years in someplace that is lucky to have two (think Phoenix, Miami, or Southern California!). That two weeks you spent on Kauai convinced you heaven on earth does exist. Moving for a change in the climate is a reason often given. The reality is, however, that the change you want may be too much of a good thing. If you haven't shoveled snow for several decades, lived with air conditioning for 9 months of the year, or endured months of cloudy, rainy skies, you may find your dream becomes a nightmare when it is your forever home. I strongly recommend you rent an apartment, condo, or home, for at least a full year before committing to a permanent relocation. 4) Are there good medical and support systems? Finding a new doctor or dentist is never a pleasant task. With the state of our healthcare system, moving to another part of the country becomes even more of a chore, if you are not yet qualified for Medicare. Does my insurance company operate in that locale? Are there enough doctors and specialists who are accepting new patients? While the dream of relocating to a rural area, living on a few acres, and being away from the suburban hassle may sound idyllic, consider the availability of medical care. Being far away from a clinic or hospital can be a very real problem. Being miles from the closest doctor may be a deal breaker. 5) Is the cost of living within your budget? As much as you and your significant other may love the idea of urban living in San Francisco, New York City, San Diego, or Honolulu, the cost of housing in those markets means many retirees could not even consider such a move. Do you just want a small fixer upper in the Bay Area? Do you have close to a million dollars? Honolulu is a relative bargain: $600,000 should get you a tiny place within a mile or two of the water. Of course, with those sky high housing costs come higher prices for everyday necessities. Apartment and condo prices are just as shocking. The opposite situation drives some to move to other parts of the country. Housing prices in parts of the Midwest, Great Plains and South can be a bargain. You may be able to afford the home or land of your dreams for much less than what housing costs you now. Don't forget utility costs. Heating, cooling, water...all the costs to keep your new home comfortable should be carefully reviewed. And, property taxes can be quite a shock. Tens of thousands of dollars a year in real estate taxes can punch a major hole in your budget if you used to paying much less. A move is considered to be one of the most stressful things we can do. That is doubly true after retirement. The costs and upheaval of relocating should not be ignored. That said, if you are comfortable with the answers to the questions above, crave a fresh start and are exciting by the possibilities of change, then go for it. Being unhappy where you are is no prescription for a satisfying retirement, either. What Are Passion Piles? Do You Have Some? First question, what's a passion pile? For purposes of this post, it is what I need to enjoy a hobby or interest. For example, to enjoy playing a guitar I need an instrument, music books, and a place with good light and space. A passion pile contains what I need to make the most of the time I have set aside to do something I like. Since one of the most-asked questions is "what do you do all day after retirement," I thought you might find some answers based on what I do. In one of my file drawers are materials and inspirations I need for this blog. After 7 years I can write one of these articles pretty quickly. What takes the time is deciding on a topic. 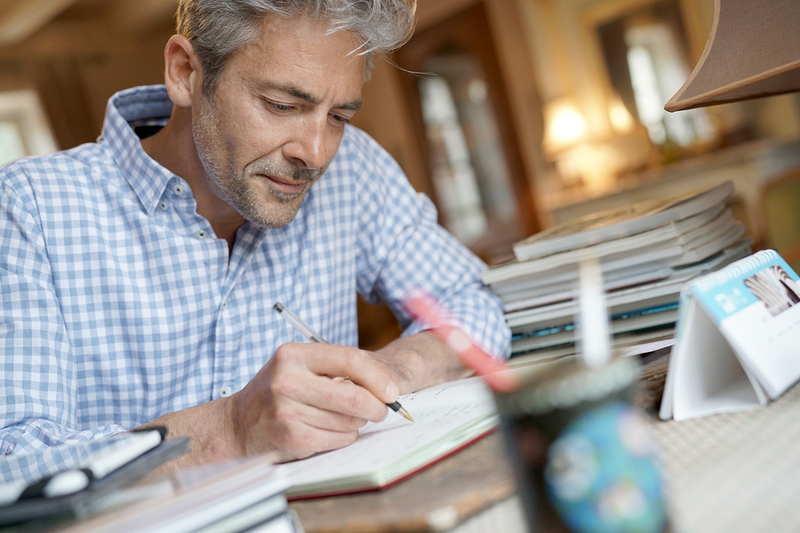 As you might imagine, after nearly 1,000 posts virtually all the topics that relate to a satisfying retirement have been covered, and covered again. To keep readers coming back I have to find new ways of presenting the same information. Or, I have to find a fresh approach to a common problem: a good example is the idea of "passion piles." Links to web sites, things on Twitter or Facebook, questions or suggestions from readers, newspaper or magazine clippings, even random thoughts I have while doing something else are stored away until I am facing a writing deadline without an idea of how to fill 600 words. I am considering writing a new book about retirement. That means another filing drawer of rough drafts and partially finished chapters printed out for my review and corrections. Actually, I will be asking for your feedback on this project in a few days. The previously mentioned guitar is probably better described as a passion corner. 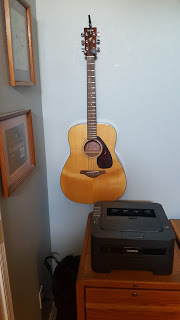 The guitar hangs on a hook on the wall behind the printer. A collapsible music stand and various books of songs are kept on a nearby shelf. A few times a week I close the office door and plunk my way through 30 minutes of practice. Since my office is next to the living room, I have noticed Betty puts on earphones when I start to play, but I am assuming that is just a coincidence. Reading is a serious passion of mine. On average, I probably finish a book a week. That means I have several stacks in various places in the house, at various stages of completion. When the urge hits, I am never more than a few steps away from something I can pick up and immerse myself in a mystery or whatever non-fiction topic has captured me at the time. Having recently seen the powerful movie, Dunkirk, I have located a book to help me know more about this momentous event. Ham radio has been a hobby for over 10 years. My office has half a dozen different amateur radios just to the right of the computer. A few different types of antennas are strung around the attic, allowing me to talk to other hams across town and on the other side of the globe. Some reference books for the hobby are kept close-by. 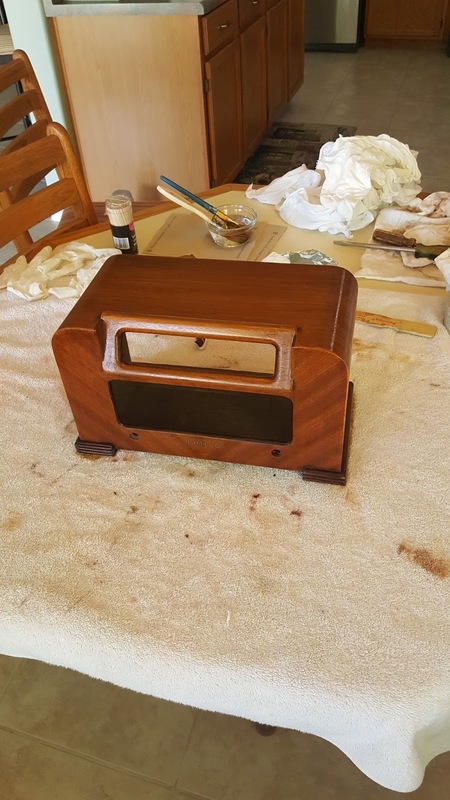 I written before about refinishing and restoring vintage radios as a new interest. That requires several large and growing larger passion piles. Beside the radios themselves, there are all the spare parts, wood stains, furniture strippers, soldering irons, cleaning rags, screwdrivers, and other things needed to bring these 1940's era radios back to life. Betty has been teaching me the best way to sand, strip off old finishes, and use shellac or stain on the wooden cases. This is something I have never done before; it is a new challenge. I have taken the attitude that if I can't fix a radio or if I turn a working one into a non-working hunk of tubes and parts, that is OK. Learning to do something new requires some failures along the way. Update: Just in the last few days I have done exactly that: tried to update the insides of a 1945 radio. Instead a large puff of smoke meant it would be pretty to look at but will no longer work! A pile that is quite small at the moment but will grow in a few weeks is the material I need to teach a Junior Achievement class at the local elementary school. The organization provides a clear-sided briefcase packed with everything needed to fill a 45 minute lesson once a week. Even so, I must take the teacher's guide and figure out the best way to reach the kids who are setting in front of me, near the end of their school day, very ready to head home. Finally, one passion pile includes all the stuff we need for upcoming trips and vacation ideas we think would be fun. A folder for our European river cruise next May, an upcoming family trip to Flagstaff to take part in a fun run for Parkinson's Disease, thoughts on day trips inspired by the post on Retirement Travels of a few weeks ago, and a cruise to the South Pacific when our budget recovers. Often all we need is a nudge or a reminder of something that is satisfying to fill our time in a meaningful way. Passion piles, or simply things that engage your interests and enthusiasms if you prefer, helps answer the question of what a retired person can do with all that free time. What type of "passion piles" you you have?